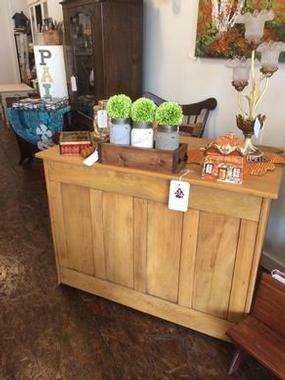 Interesting panel front solid wood vintage desk. It's a hard wood - could be ash. Looks great from any side. Measures 42" w x 25" d x 31" h.